When in Glasgow, it would be rude not to partake of local delicacies. Arrive at Central station, exit onto Gordon St. Turn left, head for the fireman, cross the road ahead of you and you’ll find a purveyor of fine goods such as pictured here. 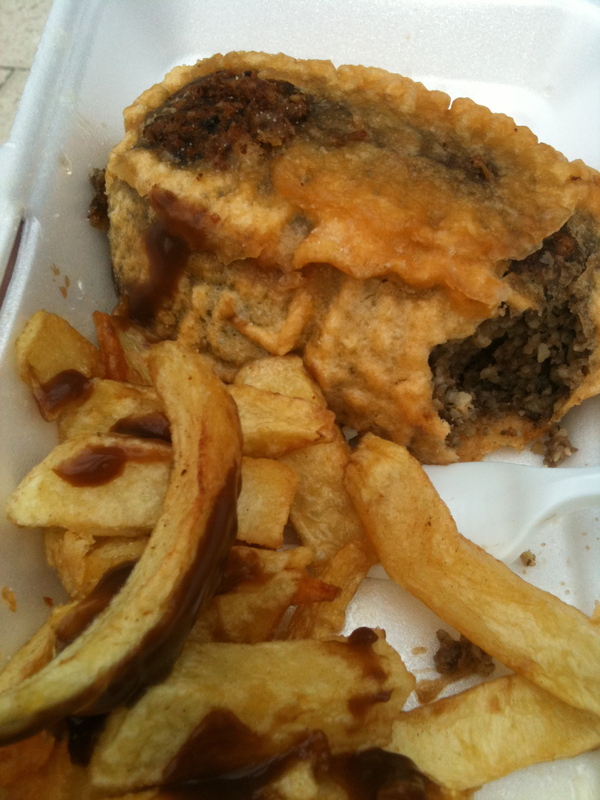 Nothing quite like a haggis after a long day’s meeting!